Blog Plettenberg’s New Motors – Ready for Real Airplanes? 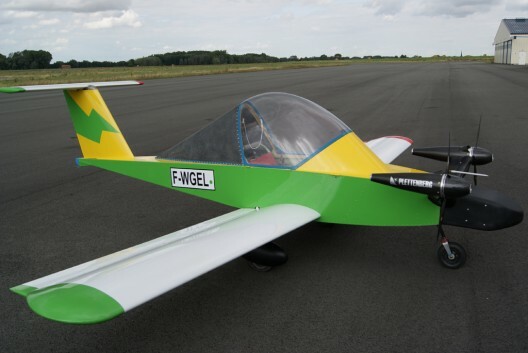 Plettenberg is well known in the model airplane world for its large and powerful electric motors that pull or push giant-scale models – sometimes half the size of their real counterparts – into the air. Brian Carpenter of Rainbow Aviation is even using them on his EMG-5 and EMG-6 ultralight aircraft. Jean-Luc Soullier had two of them on an electric Cri-Cri. His forum details that adventure and subsequent projects. These Predator motors weigh a little over four pounds and can put out 15 horsepower and up to 99 pounds of thrust with the right propeller. Going beyond their model motors, Plettenberg has bold thoughts to share about its new, bigger and less model-like units, including their 150 kilowatt Nova series motor. “The guiding principle for the development of the Nova series was the creation and development of a completely new product and not the development of existing systems. “Combining intelligently selected materials and components together with innovative, ground-breaking geometries made these unique actuators possible. Review of current racers in the TTXGP lineups do not reveal a bike with a Plettenberg on board, but that may change during the season. The Nova 15 looks like an apt possibility for ultralight aircraft use, weighing a mere 2.5 kilograms (5.5 pounds) and putting out 15 kilowatts (20.1 horsepower) and 30 Newton-meters (22 foot-pounds) of torque at 4,900 rpm when driven by 80 Volts. Plettenberg claims 92-percent efficiency for the Nova 15. Their Nova 30 produces 30 kW (40.2 hp) from five kilograms (11 pounds) at 120 Volts. It generates 105 Newton-meters (77.4 foot-pounds) of torque and can top out at 3,300 rpm at 93-percent efficiency. The 150, according to Plettenberg’s web site, seems destined to be a challenger in electric motorcycle racing, putting out a very competitive 150 kilowatts (201 hp) from 11.5 kilograms (25.3 pounds) and 250 Nm (184.4 ft.-lbs.) of torque with 95-percent efficiency. A higher-voltage unit than its smaller brethren, the 150 pulls 350 Volts at full power. All are small for their output, compact pancakes ranging from 87 millimeters to 104.7 millimeters (3.42 to 4.125 inches) in thickness and from 124 mm to 310 mm (4.875 to 12.20 inches) in diameter. The smaller MST 140-200 controller weighs 1.3 kg. (2.86 pounds) and can handle continuous outputs of 30 kW and a peak power of 40 kW. Its “big brother,” the MST 400-400 weighs a bit more, 2.9 kg. (6.38 pounds) and can manage a continuous output of 120 kW and a peak power of 160 kW. It is equipped with an integrated water cooling. 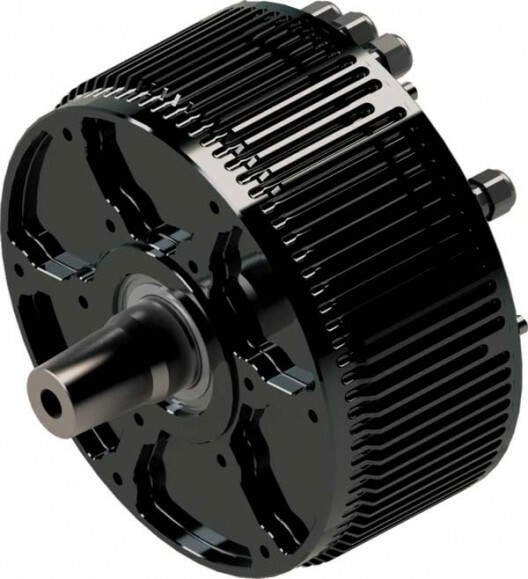 These are high-end motors compared to their model counterparts, the 15 kW model costing over $3,000 at current rates of exchange, with bigger motors probably proportionally more. As such, they will probably find a market for applications where light weight and power are more important than cost. In the aviation market, these are not “high-end” at all compared to other powerplants available. We are looking for people to help us with all the paperwork, while changing a CRI CRI to electric power. Thank you, but the CRI CRI has a french registation Nr. and should operate with F-P…..
At last, and thanks to an OUTSTANDING firm like PLETTENBERG, we developers, passionate builders and innovators of new things will have the proper stuff to work with, with [a] lot of chance of success. I believe that the NOVA 30 is fantastic engineering, and if it is sold to a reasonable price, whether the single unit engine or what would be preferable, the whole thing – engine + optimized controller – This set will be a REAL WINNER, and will [make others obsolete]. I wish, hope, expect and look forward PLETTENBERG will sell THOUSANDS of units, it is the time to go GREEN. Hi, I’m the builder and pilot of a Hummelbird with over 600 hours of flight on it. Engine is a 1/2 VW of 35 hp. Your Nova 30 motor looks like a smart e-engine replacement. I would like to have more information about the Nova 30, its converter and battery system. Thank you. Would you tell me how much cost nova 15 with 20horse power? “The price for the Nova 15 in the air cooled version is about 2.101,00 Euro [2814 USD today]. housing or so on we charge also this add cost.